Taking inspiration from the video games Fallout and S.T.A.L.K.E.R. 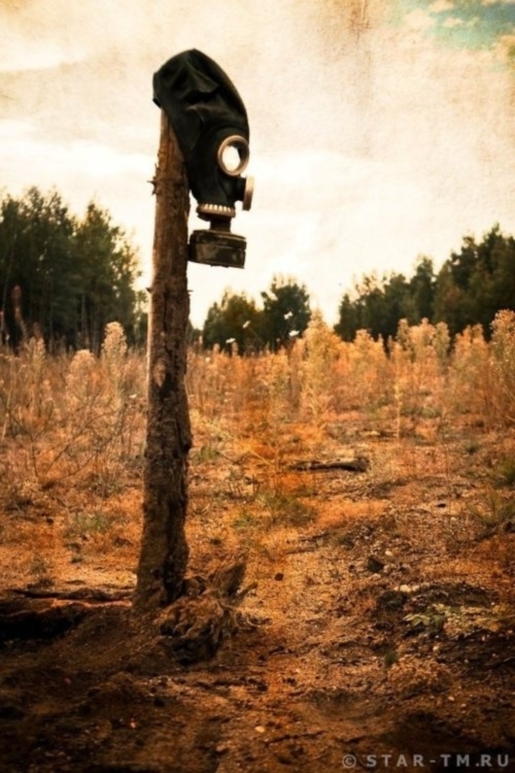 : Shadows of Chernobyl, some 200 Russians gathered in the town of Vyborg and basically recreated the post-apocalyptic, mutant-strewn landscape that might happen after the nuclear apocalypse. There were lots of guns, plenty of gas masks, and lots and lots of camouflage as these dedicated role players set up their own nuclear wasteland in the forest, complete with camps, barbed wire, and a photographer to document it all. The resulting image gallery is like my dream sequel to Mad Max, but somehow so much better. I absolutely adore these sorts of simulations. From zombie walks to Civil War reenactments and anything in between, if I get to play make believe outside it’s just the coolest thing ever to my inner 8-year-old (especially now that I’m old enough and have money enough to get really cool props). Browsing those images above gave me chills in the best way possible, and I’m so jealous I didn’t get to go play along!